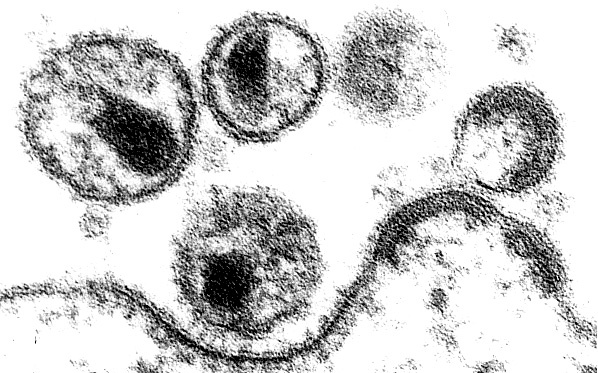 12 -Nov-2009 - The AIDS virus inserts its genetic material into the genome of the infected cell. Scientists of the German Cancer Research Center have now shown for the first time that the virus almost entirely spares particular sites in the human genetic material in this process. This finding may be useful for developing new, specific AIDS drugs. Like all retroviruses, the AIDS virus (HIV) integrates its DNA into the genome of the infected cell. As integration sites, HIV usually prefers active genes that are transcribed frequently. This is advantageous for the virus, because this is where it finds large amounts of enzymes which are responsible for transcription. The virus abuses this cellular equipment for its own replication. At DKFZ, Associate Professor (PD) Dr. Stephanie Laufs and Dr. Frank Giordano are trying to find out whether AIDS viruses can be used as gene delivery vehicles in gene therapy. Therefore, it is crucial for them to know where exactly HIV integrates into the genetic material of the host cell. This is a critical step in gene therapy, because depending on the position, this process can result in permanent activation of oncogenes or other damage. Therefore, the researchers took a very close look by starting an analysis of more than 46,000 known integration sites of HIV-based gene delivery vehicles that were determined in various gene therapy studies or are available in gene databases. Up to now, researchers have been convinced that both HIV and HIV gene delivery vehicles have a particular preference for sites where gene transcription starts. At these sites there is an abundance of those enzymes which the viruses need. However, the database analysis produced an entirely different picture. While many HIV do really integrate close to transcription start sites, the investigators found hardly any such start points in the closest, immediate vicinity of the HIV integration sites, i.e. only 1,000 DNA building blocks "to the left" and "to the right" of them. "For the first time we have very precisely defined areas in the human genome where HIV hardly ever integrates," Giordano explains. The scientists are electrified by the result, because there must be a reason why HIV evades these sites. "We assume that there is a particular mechanism at work which blocks the way for the virus," says Giordano. "On the other hand, it is also possible that some factor that HIV needs for its integration is missing at these sites." The researchers even know already that this access barrier cannot be an unspecific one: "Other retroviruses even prefer to insert their genetic material exactly at the transcription start sites," Laufs explains. "Therefore, we assume that the mechanism protecting the transcription start sites of active genes from HIV genome integration very specifically prevents HIV integration." For example, this mechanism might block the work of an enzyme called integrase, which is responsible for integrating the viral DNA into the DNA of the infected cell. This enzyme is currently in the focus of the search for an improved AIDS therapy. The highly active treatment available today attacks the virus from several different angles using different drugs: Reverse transcriptase inhibitors prevent the viral genome from being copied. Protease inhibitors block the maturation of new viral proteins. Scientists agree, however, that the best way of fighting the severe immune deficiency is to prevent integration of the viral genetic material into the DNA of the host cells. Substances preventing this, called integrase inhibitors, have been used in recent years, but the viruses have already started evading their effect through mutations. Therefore, virologists are urgently searching for new approaches to blocking this key enzyme of the virus. The mechanism that prevents HIV from integrating at the transcription start site might be a molecular model for developing such substances.